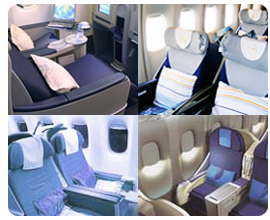 All passengers seeking more comfort without the inflated cost of a regular priced airfare. Booking with IFlyBusiness means that we help you get the lowest quoted fare in Business or First Class and will beat our competitors price by atleast $100. Therefore, you can allocate the funds you save towards entertainment, hotel or other travel expenses. Last Minute Travel? No problem. Not enough Miles? No problem. Whatever the case may be, IFlyBusiness will work within your dates and budget to get the Business or First Class seat you want.